The Discover it Secured card may be your best bet for a well-rounded credit card that offers rewards and opportunities for people with bad credit or no credit. 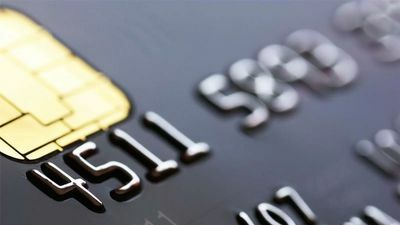 From cash back rewards, to no annual fee and the opportunity to graduate to an unsecured card, we can overlook the high interest which is typical of cards of this variety. The Discover It Secured card is a credit card for people with bad credit looking to grow their credit profile and build their score. The minimum FICO score for acceptance is 300. For that reason, it can also be useful for high risk applicants who aren’t interested in the allure of big rewards, like travel and cash back. At the time of publishing this article, the Discover It Secured card has no annual fee. That’s not likely to change anytime soon, as offering a suite of entirely “no annual fee” cards is a marketing point for Discover. With that said, since this is a secured card, it does require a deposit. For those who think a deposit sounds like a bummer, here’s why it’s actually a good thing: First, unlike an annual fee, positive credit behaviors on this card will lead to getting your deposit back if your account remains in good standing. Secondly, by putting a deposit down as your credit limit, you generally have access to better APR offers. As far as Discover It Secured is concerned it’s still going to be an above-average APR, up to 25.24%, which is also not uncommon for those with bad credit. Finally, once you have established a relationship with Discover, several months in, they will review your account and you may be eligible to upgrade to an unsecured card. This is a wonderful gateway for those entering the world of credit purchases for the first time. Because Discover allows you to view your FICO credit score in the card portal (you seriously can’t miss it), savvy credit card users with Fair and Bad Credit can directly tie their credit behavior to the impact it has on their score! That makes it easier than ever to manage your credit while building positive credit behaviors. We at CardGuru love Discover It cards, but don’t just take it from us. Take it from the hundreds of positive reviews this card gets online. If you are in the market for a credit building card, this is a good choice for a wide range of consumers, and the opportunity to earn cashback rewards doesn’t hurt either.